Vermont offers visitors the quintessential New England vacation experience. From exploring tree-lined trails to shushing snowy paths, or driving past scenic landscapes and covered bridges, the state offers adventure at all times of the year. 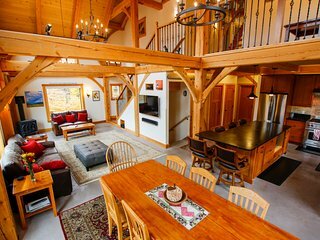 With so many Vermont vacation rentals to choose from, finding a place to stay will be easy whether your heart is set on a romantically rustic cabin rental or a luxury condo rental on the slopes. 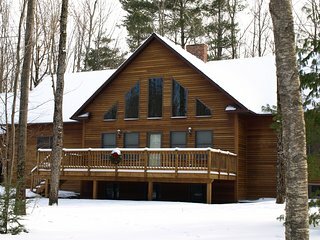 With so many wonderful, ski-in/ski-out Vermont vacation rentals, this state is often thought of as a winter destination. Winter generally begins in late November here and visitors during this season typically experience highs in the 20s (F) and lows in the single digits. Snowfall is common and lasts through March. Temperatures warm up in the spring when the snow begins to melt, and although summer is short it, it is a great time to get outside and explore the pristine landscape on foot. During autumn, the weather begins to cool and leaves turn bright shades of yellow, red, and orange throughout the state making fall foliage a unique draw for travelers. With the beautiful green mountains of Vermont (“vert mont” is French for “green mountains), vacationers have no shortage of hiking trails during the warmer months. Consider hiking at Deer Leap Mountain, Mount Tom at Woodstock, the Green Mountains, or Mount Abram. To cool off after a day spent exploring on foot, cool off with a dip in Lake Champlain. 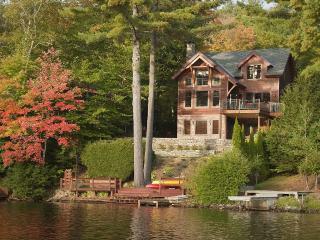 Vermont vacation rentals are scattered about the lake’s shore and provide a convenient place to stay for anglers as there are tons of fishing opportunities here. During the winter, hit the slopes at any of the spectacular mountains throughout Vermont. Skiiing, snowboarding, and cross-country (Nordic) skiing are available for skiers and snowboarders of all levels and most mountains are family-friendly. 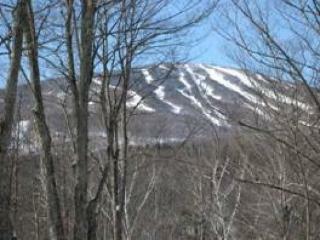 Killington is one of the largest ski resorts in the East with eleven miles of snow country contained within its borders. 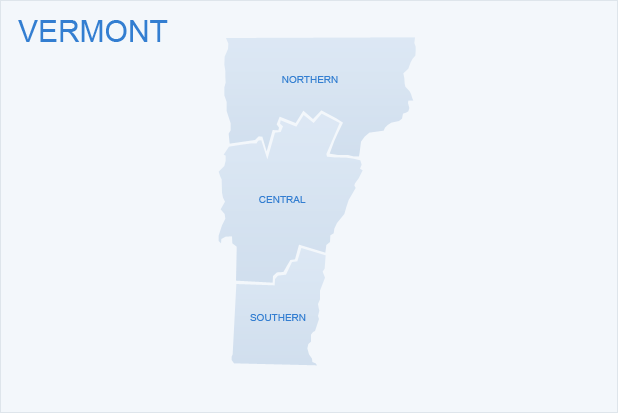 Jay Peak, Okemo, Bromley, Mount Snow, and Stratton are also popular ski resorts in Vermont that attract winter-enthusiasts from all over. 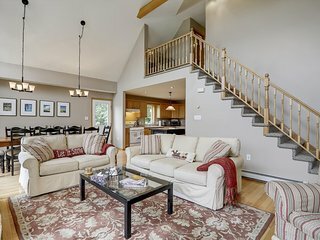 Choose from countless Vermont vacation rentals large enough to fit everyone’s winter gear and conveniently located close to the lifts. Other popular activities include visiting a working dairy farm like Billings Farm in Woodstock, or stopping in Shelburne to see the fantastic collection of art and Americana at the Shelburne Museum or the production of stuffed animals at the Vermont Teddy Bear Factory only a short drive from Vermont vacation rentals in Store and Burlington. For sightseeing, take a driving tour throughout the state to see the charming covered bridges scattered about Vermont, or stay during fall to see the stunning foliage. It’s difficult to resist indulging in some of Vermont’s choice products, including cheddar cheese, maple syrup, cold brews, and ice cream. At Cabot Creamery in Cabot visitors can see how cheese is made, while those with a sweet tooth will enjoy a tour of the Ben & Jerry’s ice cream factory in Waterbury. Save money and buy fresh produce at a farm stand to cook up at Vermont vacation rentals. From upscale restaurants to casual, mom-and-pop eateries, the food is always fresh and there are endless options prepared with local ingredients. Vermont Maple Festival: Held at the end of the maple season, the event attracts visitors from around the country for its delicious maple treats, entertainment, Fiddlers’ Variety Show and competitions. Stoweflake Hot Air Balloon Festival: The 3-day event in July offers a variety of sunrise, morning, and twilight balloon launches, as well as live entertainment, local foods, beer and wine for spectators. Stowe Winter Carnival: In January, people flock to this winter wonderland for a variety of “cool” activities. Some of the most popular include ice carving competitions, a kids carnival and an infamous block party at night. 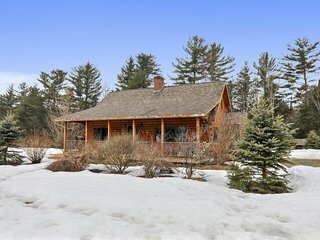 Whether you’re visiting Vermont for an outdoor adventure or simply to relax by a cozy fire, the state will take visitors back to simpler times making for a relaxing getaway. 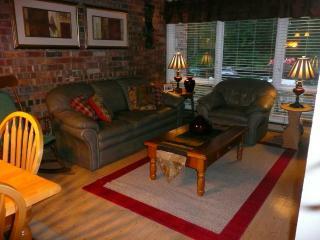 Choose from a variety of Vermont vacation rentals and feel at home in The Green Mountain State.